Red Apple Lipstick’s Summer Colors are Coming! The new Summer colors by Red Apple Lipstick are coming Saturday, June 7th at 10am CST! Sign up for the VIP program for great discounts, benefits and access to the Summer Sale! These six NEW beautiful lipstick shades, four eyeshadows and two lip glosses will premier at the sale tomorrow morning at 10am CST. Sign up and get yours! Discounts apply site-wide. 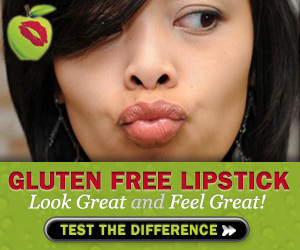 Red Apple Lipstick is gluten and allergen-free makeup – and the people are really nice too! I love my Red Apple Lipstick makeup – I never go anywhere without it! This entry was posted in Beauty and tagged Red Apple Lipstick on June 6, 2014 by Pamela. Congratulations to Sandra, winner of the Red Apple Lipstick in HibisKiss! This entry was posted in Beauty, Contests & Give-Aways and tagged Give-Away, Red Apple Lipstick, winner on August 22, 2013 by Pamela.